Events Archives - Achieve Services, Inc.
Our annual Fall Fundraiser featuring a delicious dinner, games, and dancing is coming November 7th! Get your tickets today! The new album from Achieve’s music group Dance at Your Own Risk is HERE! Help us celebrate with an album release party! Achieve Spring Gala Coming on April 20th, 2018! Join us for our annual Spring fundraising gala fundraiser! Enjoy some Holiday music from some of the liveliest performers in town on December 6th at 12:00PM. Support Achieve Services on Give to the Max Day! Make a gift of $25 or more and you’ll receive a personalized “Thank You” video from one of our participants! Get on Board for the Achieve Services Fall Fundraiser on Wednesday, October 11th! See Dance at Your Own Risk LIVE in Concert! Come see the Achieve music group live in concert and meet the musicians in person! “We Have Personability” Gala Coming May 5th! Join us for our 12 Annual Spring Fundraiser Gala! Get all the details here. 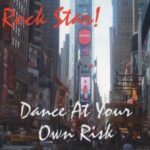 Celebrate the release of the new Dance at Your Own Risk CD at Achieve Clean!